Christie St Claire isn’t her real name and these are more than just stories. You could say she uses the name Christie St Claire to protect the innocent, which isn’t to say she is innocent, quite the reverse. There has been a scandal at Fenton University that involved the Cheerleader Squad and a good portion of the board of trusties. Christie St Claire is doing everything she can and a lot of things she shouldn’t to find out what happened. You shouldn’t really read Christie St Claire’s stories. She is using them to expose the sordid sexual lives of the Fenton University Cheerleader Squad. The stories are personal accounts from cheerleaders about their dirty little lives. If a character is too familiar, then you might just know them. What you Christie St Claire isn’t her real name and these are more than just stories. You could say she uses the name Christie St Claire to protect the innocent, which isn’t to say she is innocent, quite the reverse. There has been a scandal at Fenton University that involved the Cheerleader Squad and a good portion of the board of trusties. Christie St Claire is doing everything she can and a lot of things she shouldn’t to find out what happened. We’d love your help. Let us know what’s wrong with this preview of The Brothels of Brimstone by Alana Melos. We’d love your help. Let us know what’s wrong with this preview of Saigon Tease by John Wood. Readers and authors of erotica written with a male audience in mind. Share your thoughts and recommendations! Thanks for accepting my friend request. If you have a chance please check out my novel TaXXXi Tales https://www.goodreads.com/book/show/2... and add it to your read list. TaXXXi Tales is also listed in the current Giveaway. Thanks for the friendship, Christie! Head over to Amazon.com or Amazon.co.uk for free copies of Penalties in the Locker Room. A pair of high heel, a tight corset, a delinquent cheerleader and some late night locker room fun. Thanks for the friend request ;) look forward to getting to know ya better!!! thanks for the friendvite, Christie! 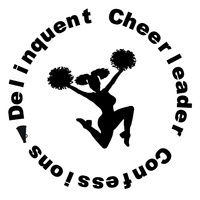 If you are looking for a summer read and use Smashwords, you can find great savings on a all Delinquent Cheerleader Confessions. Get 50% off Ashley’s Sleepover and Misty Showers with the Quarterback with code: SSW50. There is even 25% off Lisa Goes all the Way for an A with code: SSW25. For even better savings get all three Delinquent Cheerleader Confessions in the collected volume 1 edition with an extra 25% off using the code SSW25. And if you are looking for a quick thrill at no cost, just pick up Penalties in the Locker Room for absolutely nothing. Who can say better than that? Get your downloads to ensure that you have a hot and steamy summer. Thanks for adding me, Christie! Thanks for the add request! Love your taste in books!